I’d like to become a writer. But I don’t know how. Well, yeah, of course. But, how to I learn what kind of stories people will want to read? Okay, got that. But, how do I become better at figuring out what degree of detail to include in a blog post? Right! Got that. I’m asking for some advice on the process of how to become a better writer. I realize it’s a journey, I just was hoping you could help me figure out how to get from here to there. This was the first book I had published, but it was not the first book I wrote. 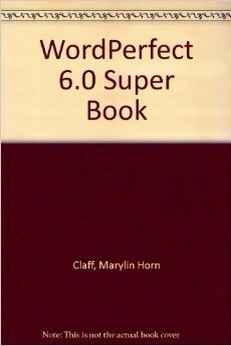 I wrote a book called WordPerfect Library Guide. Library was a product that included several DOS based utilities and a Shell program. (Sometimes You Just Get Lucky.) You won’t find the WordPerfect Library Guide online. It only existed on my hard drive. It shares a lot in common with my most recent book attempt, Microsoft Server 2012 Administration Fundamentals. And it’s not a happy association they share. The difference between a writer and an author is that both write, but an author has actually had something published. When I started writing 20 years ago, that meant you had to convince a publisher. The beauty of technical writing is that you get paid in advance. With fiction, especially as a new author you have to write first, then get paid. . .hopefully. Today, with the proliferation of self-publishing possibilities, the line between writer and author becomes more blurred. My friend Howard Tayler (www.schlockmercenary.com) self publishes. He sells thousands of books. He’s an author. I have friends who self publish and they’ve sold 5 copies. . all to family members. They are . . . less successful authors. In my own writing, I’ve been inspired by several influences. First was my grandmother, Venda Castleberry. She was a writer, an English teacher, and pushed me to always get better. She took up writing late in life, and had the misfortune to be just starting to break into writing TV scripts when a writers strike hit Hollywood. She has published some items of Mormon literature. But, her life convinced me that it’s never too late to start a writing career. I never had writers block. I couldn’t afford it. If I didn’t write, we didn’t eat. I have not had the courage to put my family into a situation where my writing needed to support us. However, what I took from this statement was the idea that what many call writers block is something you can push through. Ben also told the story of going on a cruise with a bunch of writers. Walking down the hallway at night you could hear the clicky-clak of everyone pecking away on their typewriters, except for Isaac Asimov’s door. Because Asimov wrote 10,000 words per day by hand. I think of myself in the oral tradition–as a troubadour, a village tale-teller, the man in the shadows of a campfire. Part of the reason I started writing this blog was to put down in words some of the crazy events that have happened over my years in IT. And over the last couple of years, I’ve found myself focused more on the story and less on the business lesson to be learned. From L’Amour I learned that it’s okay to want to tell stories. The world likes storytellers. One of the other pieces of advice I got from reading Louis L’Amour was his comments on the writing process. 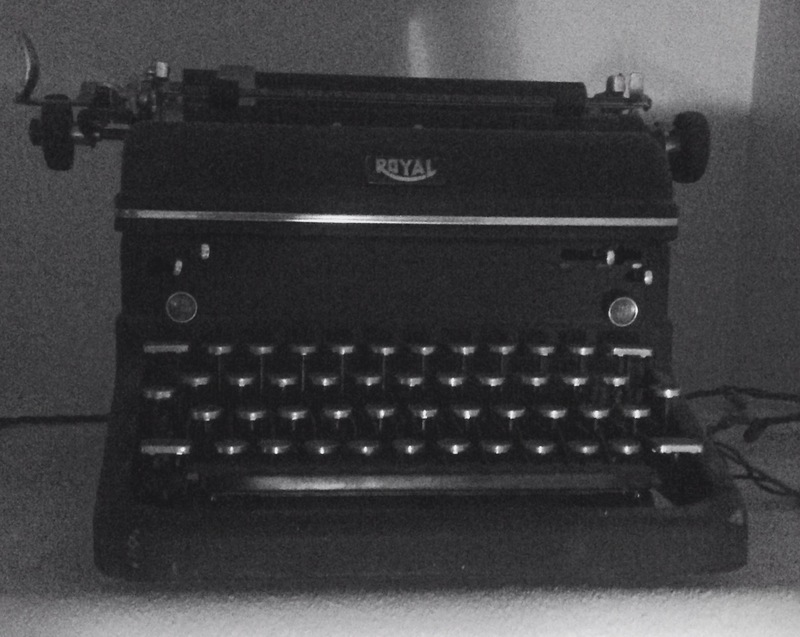 I could sit in the middle of Sunset Boulevard and write with my typewriter on my knees, temperamental I am not. I’m not the writer that L’Amour was, of course, but I always admired that quote from him, because I wasn’t sure I could do it. There are many more people want to have written than want to write. A lot of screenwriters are working on page 7 before they switch over to check facebook and quit. But, not every writing project has been successful. I’ve failed miserably at two of them. First, my very first book. I was so excited to get a contract, that I didn’t really worry about discussing the focus of the book with the editor. I wrote every night. I wrote about 40 hours per week and had a fulltime job at WordPerfect. I actually finished writing the book. And then, the editor actually looked at it. I didn’t realize they should have been looking at it all through the writing process. If they had, they should have stopped me quickly from writing a reference book when what they wanted was a tutorial. Okay, no big deal. All authors occasionally get sideways with their editors. But, the publisher then sent me the most demoralizing letter I had ever received. I didn’t keep a copy, but it basically told me that I was a terrible writer. That no amount of editing would fix my prose. That I should go learn how to write by taking a college course before I ever attempted to do something like this again. Well, let me tell you, after reading that letter there was no danger of me ever wanting to try it again. Fortunately, I had a really, really good agent. She assured me that I was not a horrible writer. And she would know. She had many world famous authors that she represented. She assured me that the editor that wrote that was doing it to save their own job. They were expected to deliver a book that was no longer going to be published. They had to blame me for that. It was a great learning experience, and a great introduction to the cutthroat world of publishing. But, to this day I will never buy a book published by Que Publishing. Most recently I attempted a book on Microsoft Windows Server. I used to work for Microsoft. My most popular book was a book about a Microsoft product. I set up a home lab and discovered that while I could write. I had lost the knack for technical writing. I had a very patient editor who worked closely with me, but I finally had to admit one day that I just couldn’t write this book. It was a heartbreaking realization. And it really confused me. Because all through the process I was writing this blog every day. I would sit down to write about business and the words would flow. Switch to technical documentation and it would dry up. The weakness, I think, goes back to something I referenced at the beginning of this column. I let my technical writing skills lapse as I pursued other opportunities. And it is not just like riding a bicycle. At least it’s not for me. I have to train myself back into the habit of writing. And I’ll end where I began. If you want to be a writer, the most valuable advice you will ever receive on how to accomplish it is write!